Gilbane Building Company is a global leader in construction, real-estate development, and facility management services, and one of the oldest privately owned companies in the U.S. The company is responsible for several billion square feet of completed projects across commercial, civic, education, healthcare, industrial, scientific, sports and entertainment, and transportation sectors, and is known for adopting cutting-edge construction technology, from sustainable building practices to advanced visualization. Gilbane’s most iconic projects over the years include the 1964 New York World’s Fair, the Vietnam Veterans' Memorial in Washington D.C., the Smithsonian Institution’s National Air and Space Museum, The U.S. National Archives, The George R. Brown Convention Center in Houston, O’Hare International Airport’s Terminal 5, the Robert W. Wilson Building at the Massachusetts Museum of Contemporary Art, and many others. Lucas Richmond manages the small in-house team known as Gilbane Media Studio, a nimble team of artists that produces high-end visualizations to simplify communications around design, both for their teams in the field and for clients. 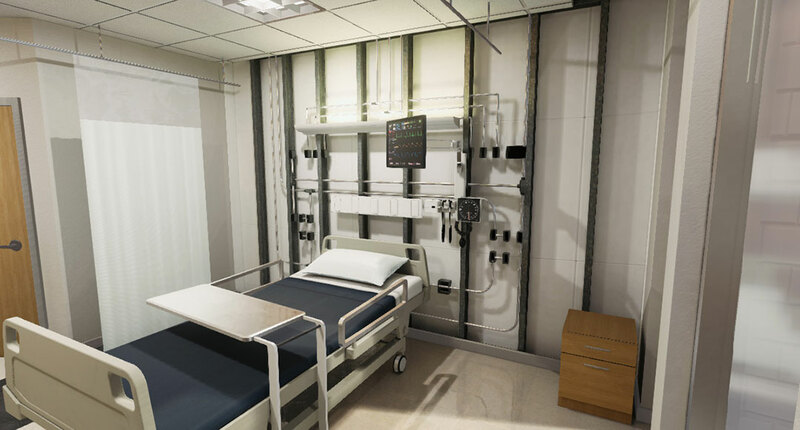 The Gilbane Media Studio has been working with Unreal Engine 4 since its release in 2014 to bring high-quality, interactive visuals to life—letting clients experience what their buildings or facilities will look like, examining different layers for electrical, plumbing, and other systems, before they even break ground. Their detailed visualizations are crucial for helping builders and clients alike make more informed decisions earlier in the planning stages, to ultimately get projects underway and completed faster. 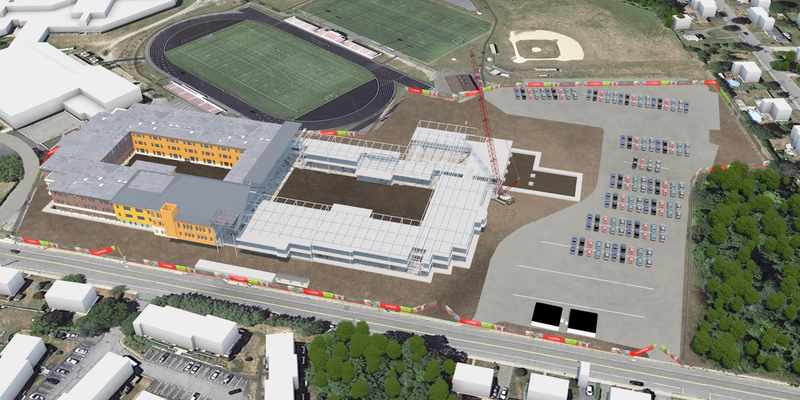 In 2018, the Gilbane Media Studio created over 112 models using Unreal Engine, covering a wide variety of use cases from communicating how specific systems will be built, to safety simulations showing clients how Gilbane maintains a clean and safe construction site, to VR walkthroughs showing the fields of view from various guard stations within prisons, to animated build sequences showing step-by-step how an entire facility will be constructed over a period of time. 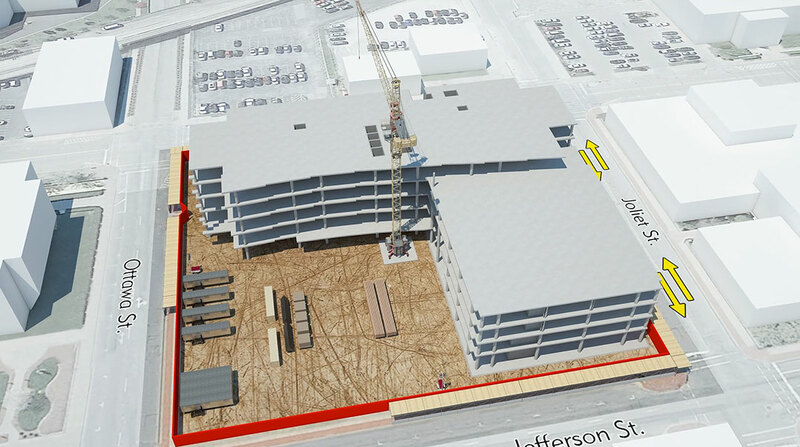 Richmond’s team is even finding innovative ways to use Unreal to bring new life to decades-old Gilbane projects. 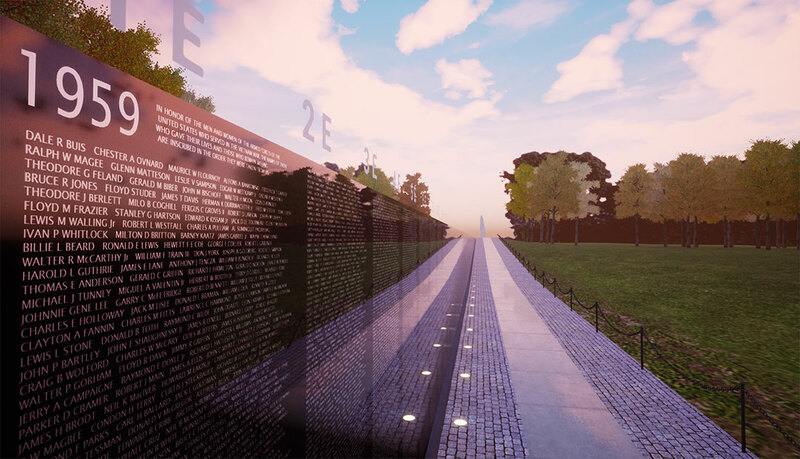 His team recently recreated the Vietnam Veterans Memorial in VR as a tool for the non-profit organization Honor Flight, who can now bring the memorial directly to veterans who are physically unable to make the trip to Washington D.C. The VR project will officially launch with Honor Flight this year, and Richmond is looking forward to creating similar VR walkthroughs for other memorials. Unreal Engine is also expanding the scope of Gilbane’s business, as they’re able to form partnerships with both small and large architectural firms to work on design visualizations at different stages of development. And with the latest update to Unreal Studio’s Datasmith suite of plugins to add Revit support, Richmond’s team is getting even more use out of the engine. Do you have a complex construction or design story you need to explain to stakeholders? Join the free Unreal Studio beta today.